Professor Peter Kirstein, chair of Computer Communications Systems (UCL Engineering Sciences), has been awarded the prestigious 2015 Marconi Society Prize for his 'tireless advocacy and pioneering technical contributions to computer networking which helped establish and expand the Internet in Europe and many other parts of the world. The Marconi Prize is given each year to a scientist or engineer who achieves advances in communications and information technology for the social, economic and cultural development of humanity. "Peter is often recognized as the father of the European Internet," said Vint Cerf, co-inventor of TCP/IP protocol. "But that phrase understates his contributions in the field of computer networking and in the area of protocols or systems for specific purposes. For the past 40+ years, Kirstein has made persistent contributions to the practical workings, adoption and application of the Internet worldwide." Professor Kirstein joined UCL in 1973 as Professor of Computer Communications Systems and became the first head of the Computer Science Department in 1979. Prior to this he worked as an accelerator physicist at CERN before joining GE in Zurich where he developed his interest in computer and communications technology. Sir Eric Ash, former Rector of Imperial College, said: "Peter Kirstein has had an enormous influence on first, the acceptance and then the development of packet switching and then the Internet in the UK, Europe and beyond. Creating the first European node of the ARPAnet at UCL was a key step towards its wider acceptance. Peter Kirstein and his celebrated group at UCL provided the catalysts that enabled what is arguably the key development of the 20th century to become so dominant in Europe." 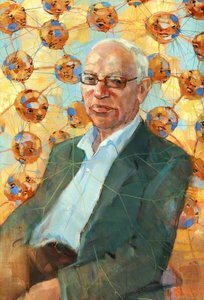 "He has continued to contribute, both architecturally and with implementation, to a variety of applications, including email, network interconnection and currently, the Internet of Things," said Robert Kahn, who co-invented TCP/IP. "As a professor at UCL, he has mentored engineers who have gone on to make many useful contributions to this space. He's been a capable interlocutor between EU and US defense department initiatives. He's helped commercialize the technology, and he's been one of the pioneers to push the boundaries of the communication paradigm much further. Quite simply, he is a giant in his field." Professor David Price, UCL Vice-Provost (Research), said: "Peter's experimentation, innovation and application over more than four decades at UCL have hugely increased the inter-connectedness of people worldwide. We take great pride in providing a research environment in which the best minds can bring their expertise to bear on the critical issues and opportunities facing humanity. It is no exaggeration to place Peter on a par with fellow UCL pioneers such as Sir William Ramsay, Sir Ambrose Fleming, Francis Crick, Peter Higgs and Alexander Graham Bell." Professor Anthony Finkelstein, Dean of the UCL Faculty of Engineering Sciences, said: "This richly deserved recognition marks the substantial achievement of Peter Kirstein who has consistently shown great foresight, leadership, technical skill and political nous to realise great strides forward in communications and networking. We are all very proud to have him as our colleague." The prize will be presented to Professor Kirstein at a ceremony at the Royal Society in London on 20 October 2015. More details on Professor Kirstein's research and career are available in the Marconi Society prize announcement.